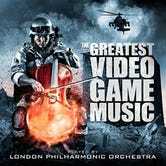 Last week, we streamed a recording of the London Philharmonic Orchestra playing the theme from Modern Warfare 2. This track was from the orchestra's upcoming album named "The Greatest Video Game Music." Today, the album was released, and the nice folks at the London Philharmonic have allowed Kotaku to exclusively stream the entire album for a week. It's all here, and it's good stuff. The playlist skews more towards recent, AAA games, but there are some classics in there as well. The pieces might not feature any of the off-the-beaten path favorites I'd like to hear, but the arrangements get enjoyably creative, particularly with the older pieces, and it's cool to hear this music performed by a human orchestra (albeit one occasionally assisted by synths and sampled beats), rather than the thunderingly enhanced orchestras on most game soundtracks. Tetris (soprano sax soloist!) 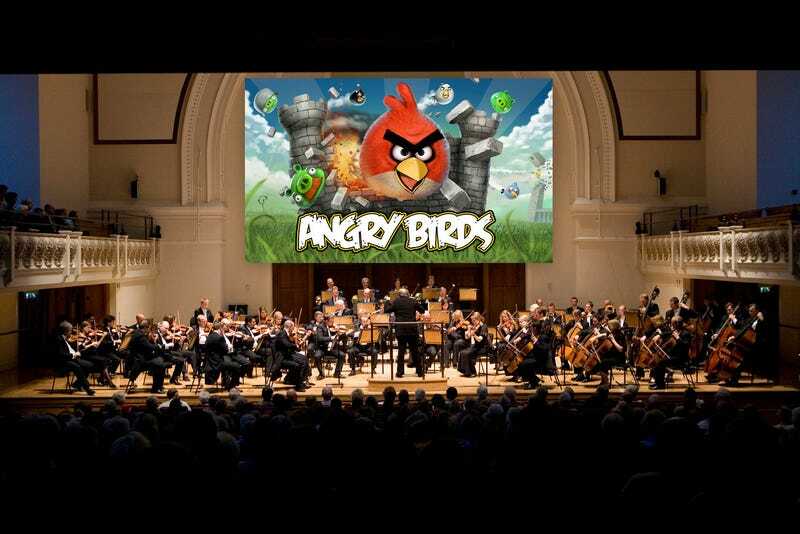 and Angry Birds (Bassoonist! Also, entire woodwind section!) were both standouts for me. Also, gotta love the electric bassist on the GTA IV track, which wins the "most uncanny sound-alike" award. I also dug the percussion-less take on Drake's theme from Uncharted, which gives the performance a noble, almost mournful quality. The recordings sound much better through headphones or through a good sound system, since you can really feel the orchestra breathe. The tracks themselves are in video format, and you can clip through them in the gallery at the top of the post. We'll have all the tracks hosted here all week. You can order the entire album on Amazon for $2.99, and get a dollar off on Monday by following this link and using the code "GAMESMP3."